Ebac Building Dryers to suit all applications with many models having a Dual Voltage option. The Ebac BD75 commercial building dryer is medium capacity dryer that is the ideal choice for plasterers, decorators and the finishing trade when drying out single rooms and extensions. The Ebac BD75 is highly manoeuvrable for easy use, whilst still very durable for the construction industry. No matter how extreme the conditions. 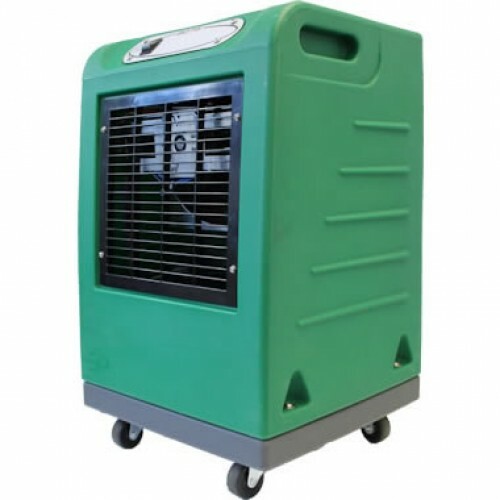 The BD75 operates economically even on the coldest winter day – and where dampness is really severe, up to 20 litres of water can be extracted from the atmosphere in just 24 hours using the BD75. Drainage of condensate from the machine is simple – either by connecting a hose to the drainage spout and leading it to a drain, or by placing a container under the spout. 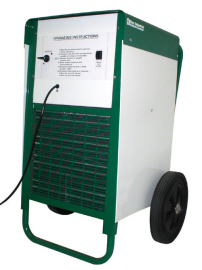 For a more permanent operation an Integral Condensate Pump option is available. Typical Extraction Rate Approximately 12lts per 24hrs at 27c & 60%rh. The Ebac Kompact provides the user with similar extraction capacity to the Ebac BD5 while giving reliability and performance. The Kompact brings together the ruggedness of the building dryer and high specification with adaptability of the professional range. 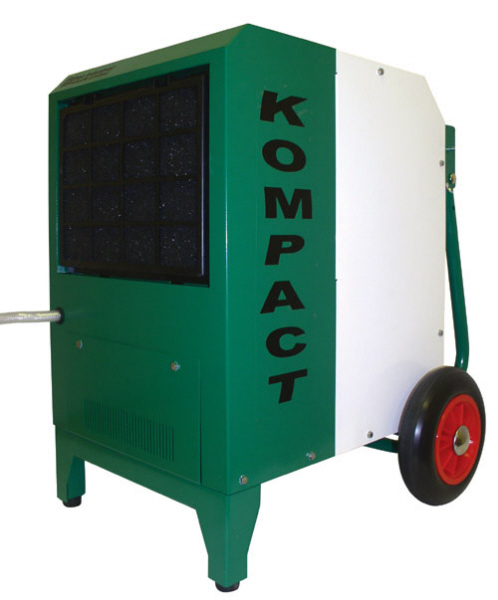 The Kompact features a built in condensate pump with 7.8m drain hose supplied, hour meter, air filter and intelligent defrost control. Available in single 220/240v. Extraction Rate Approximately 20lts per 24hrs. Demanding site conditions will require the large capacity Ebac BD150 commercial building drier with its fast acceleration of the drying process, saving extra man hours and financial penalties. Powerful, portable and can be laid flat in transit when moving from site to site, making it Europe's Number 1 choice. Extraction Rate Approximately 30lts per 24hrs.